Lil Trunks' Emma dress is both easy and sophisticated and showcases the line's custom prints. 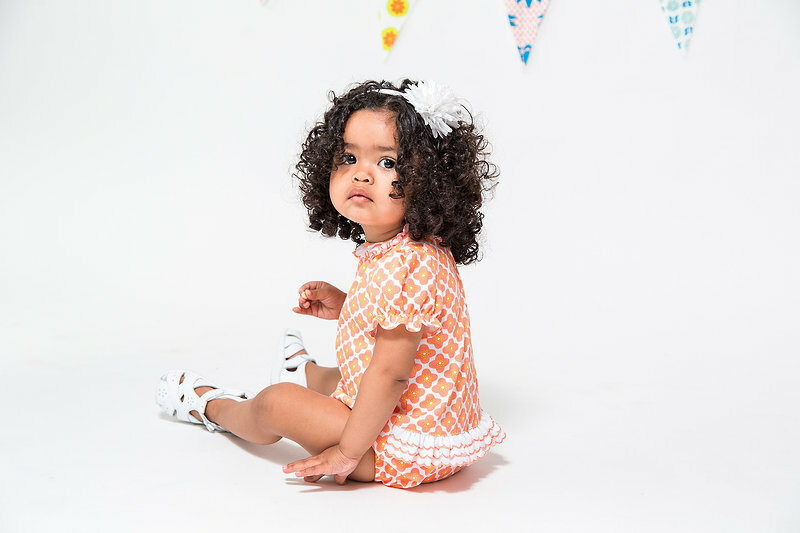 Lil Trunks' Zoe bubble adds feminine flare with ruffled sleeves, collar and bum. Clean silhouettes keep the focus on color, which plays a starring role for spring. Lil Trunks scoured the color wheel for only the happiest hues like turquoise, coral, lime, pool, berry and grass. Each dances from one pattern to another on prints both big and small. For girls, the Kamal and Hibiscus prints showcase bold, solid blossoms, while the Dahlia offers multicolor petals and leaves. The Medallion and Swirl prints are two expressions of a similar idea, featuring a smattering of saturated, colorful orbs. 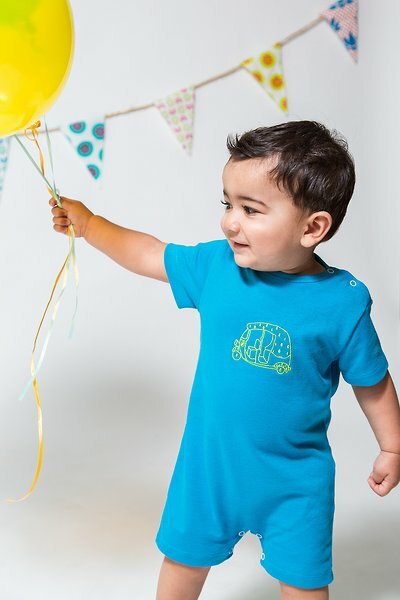 For boys, the Tuk Tuk print showcases a rainbow of vehicles playing bumper cars and the Rickshaw features multicolor buggies hurrying from here to there. For both girls and boys, the brand’s signature elephant print showcases the paired-off pachyderms on a field of teardrops. Wholesale prices range from $17 to $26. Visit Lil Trunks at its future home on the web at liltrunks.com.